Riot have announced their latest Watch Missions for Spring Split 2019! Read the latest guide and information in our updated post. The League of Legends Worlds tournament has always been one of the largest events on the esports calendar, and this year will be no exception. In an attempt to increase viewership of the earlier stages of the tournament Riot, the games publisher, by giving fans in-game rewards just for watching games through the official League of Legends website. By watching games with a linked League of Legends account you’ll start to complete missions just for cheering on your favourite teams competing. The Worlds 2018 Viewing Mission rewards will include XP, World Tokens (used for exclusive rewards), Blue Essence and even event exclusive icons. There are currently 5 missions defined, though more will be released as the event progresses through group stages and into the knockout rounds. For most fans, they will already be watching these games, but it’s a great added incentive to make sure you don’t miss a single action packed game! We’re a big fan of this and it has seen great success in Counter Strike, with esports fans getting a chance of exclusive in-game drops. Riot are looking to use this as a test-bed and potentially roll this functionality out to more tournaments and regions in the future. 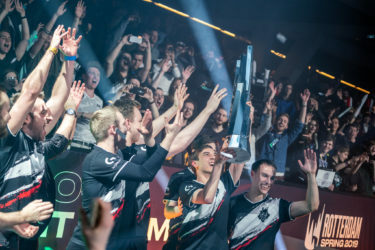 The rewards are earned by simply watching games during the Worlds 2018 tournament. You won’t need to accept any missions in client before you start getting rewards for watching so you can get started straight away. As long as you’re signed in and watching through LoL Esports; watching on mobile and Chromecast should give you rewards. Registering for these rewards is a very easy process that doesn’t take much effort. First, as you can imagine, you must have a valid, unbanned League of Legends account. You then head over the official LoL Esports website and link your account by logging in online against your server. Once you’ve done this you’ll see a confirmation message when you start watching the game saying that your account is correctly linked and that you’re good to go! This login portal is fully validated by Riot games and won’t be run from a third party. Whenever you are asked for your League of Legends login details, however, make sure that you’re on the correct lolesports.com domain and that the SSL certificate is green. Now all that’s left to do is cheer on your favourite teams and regions as they compete to lift the coveted Worlds trophy! One issue that a few users have been mentioning across support board and social media is that AdBlock on browsers can sometimes interfere with the tracking that Riot has put in place in order to allocate your in-game reward. Although this doesn’t seem to be the case for everyone, it’s probably best to disable AdBlocker on the website whilst watching the games. To complete these missions, you have to log into your League account while you watch the games on lolesports.com as explained above. Unfortunately, watching these games on Twitch or YouTube will not give you rewards. There will be plenty more Worlds 2018 missions underway during the event, so be sure to check out the extensive guide over at The Rift Herald. 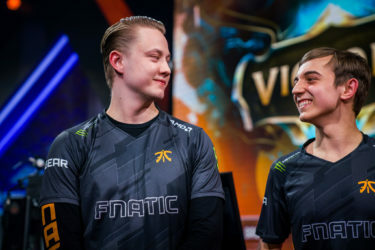 Keep an eye on all the upcoming games and find the best esports betting markets, odds and bonuses over on our League of Legends betting page.